When preparing for filming Parvaz[a] at the Chaharshanbe Suri party, I realized that I would need some kind of support for the camera. It would have to satisfy two very opposed requirements: The first was to provide a stable base for a camera and a big and heavy Sigma 50-150/2.8. The second was to be fairly small and unobtrusive, as I would be standing in a crowd of nearly twenty thousand people and couldn't take up too much space. Clearly, I would have to compromise. I briefly considered a tripod, but rejected that as impractical as it required too much space for the three legs. Besides, with twenty thousand people partying, there was no way to keep people from bumping into the tripod. 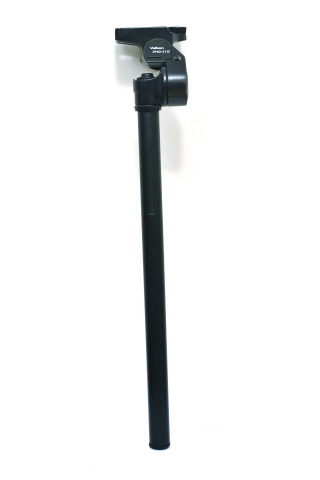 Now, a tripod with a small footprint is more or less equal to its one-legged cousin, the monopod. So I started researching monopods. While they seemed like a solution, I realized I would need a six foot monopod, and those were rare indeed. I might as well duct tape the three legs of my tripod together and save myself some money. 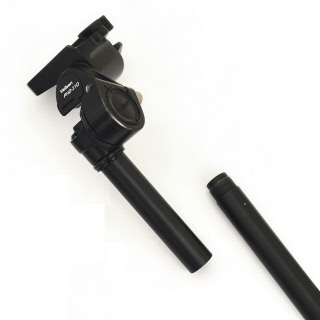 Then it struck me - if I could have one of these too-short monopods resting on a pouch on my belt, I would have a stable platform. If I moved the pouch up, I could get away with an even shorter monopod. 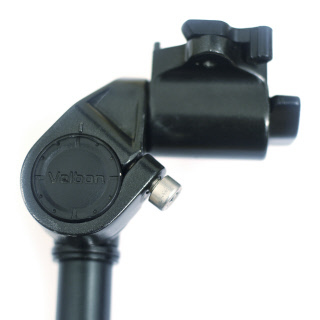 An M6x20 screw holds the head in place. The $2 camera pouch we'll use to support the monopod. The end result was beautiful, as this photo shows. 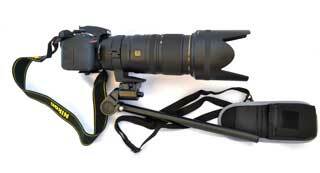 It's a Nikon D3200 with a Sigma 50-150/2.8 attached to the monopod, with the pouch. 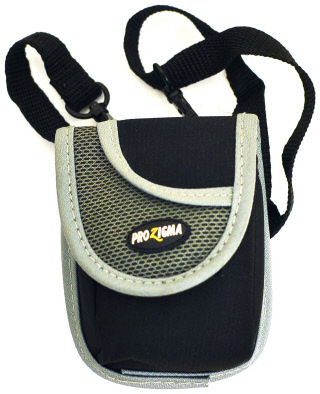 To use, put the pouch around your neck, put the camera's neck strap around your neck, and insert the monopod into the pouch. Instant stable shooting platform suitable for use in a crowd of twenty thousand jumping party goers.